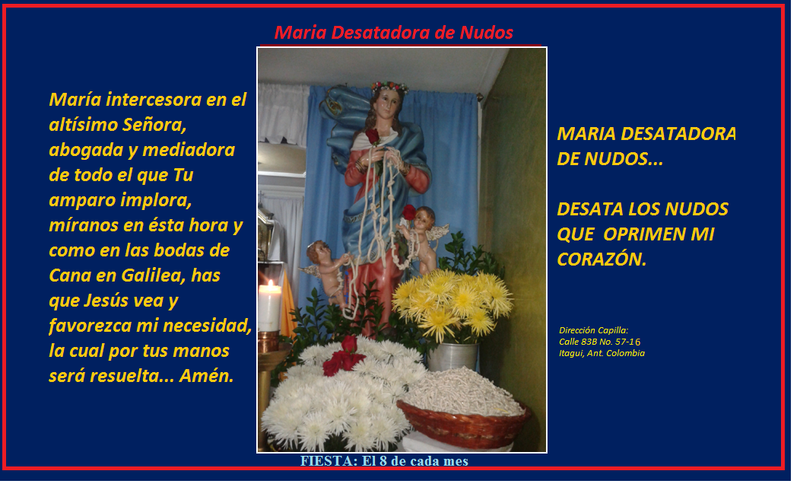 MARIA DESATADORA DE NUDOS... DESATA LOS NUDOS QUE OPRIMEN MI CORAZÓN. : AQUI PUEDES VER TU PRESENTE, TU PASADO Y TU FUTURO. AQUI PUEDES VER TU PRESENTE, TU PASADO Y TU FUTURO. EL ESTA VIVO Y AUN HACE MILAGROS COMO EN LOS TIEMPOS DE NUESTROS ANTEPASADOS.